In 2015, with the support of a United Board grant, leaders of Chang Jung Christian University (CJCU) began exploring new ways to mobilize resources. They soon realized that the term “resources” should not be limited to monetary terms. As CJCU Vice President Po Ho Huang explained, “Resource mobilization also means creating space and identifying dialogue partners to engage in conversations on the concerns, visions, and expectations of the university.” As a result, “Friends of CJCU” units were launched in five regions of Taiwan, creating a space for dialogue between the university and alumni, local church members, and business professionals, among others. These friends discuss how they might serve as ambassadors of the university in the public space; how to help student enrollment, fundraising, and public relations; and course and teaching evaluation. CJCU is now expanding its outreach. 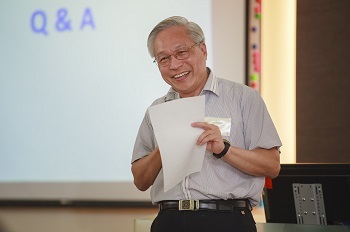 A 2017-2018 Bamboo Grant from the United Board will help Dr. Huang and his colleagues develop another 20 Friends of CJCU groups in Taiwan and one in the United States.